מאד מאד צריך ליזהר בהדלקת נרות להדליק קודם שקיעת החמה, שקיעה הניראית, דהיינו בעוד השמש זורח בראשי האילנות בשדה בארץ המישור שאין שום הר במערב, או בראשי גגים הגבוהים בעיר, ולא לעשות אחר כך שום מלאכה כלל, כדי להוסיף מחול על הקודש מעט. כי אחר סילוק וביאת האור מראשי האילנות וגגים הגבוהים בכמו ד׳ חלקי ששיים משעה (שקורין מינוטין) אזי היא שקיעה האמיתית, שהוא סילוק וביאת האור מראשי ההרים הגבוהים שבארץ ישראל. zmanim are calculated based on a 4 minute delay in shkiah. These 4 minutes are calculated as the sun’s position in degrees before sunrise and after sunset. While Chabad considers netz as standard sunrise and shkiah as standard sunset, this is lechumra, and other zmanim are based on a slightly earlier sunrise and a slightly later sunset. About 3 1/2 years ago, I posted information on calculating the Baal Hatanya’s Shkiah. That article was focused on a software developer’s perspective and explained how to use the existing API to calculate a fixed clock 4 minute zman that was not natively supported by the KosherJava zmanim library. Recently Yechiel Paricher contributed code to the KosherJava zmanim API/Library that added native support for various Baal Hatanya zmanim. This will enable users of the Zmanim library to easily include Baal Hatanya zmanim in their software. כי אחר סילוק וביאת האור מראשי האילנות וגגים הגבוהים בכמו ד׳ חלקי ששיים משעה (שקורין מינוטין) אזי היא שקיעה האמיתית, שהוא סילוק וביאת האור מראשי ההרים הגבוהים שבארץ ישראל. The time is calculated as the point at which the center of the sun’s disk is 1.583° below the horizon. Chabad applies the same degree based offset to netz amiti (true halachic sunrise). This degree based calculation can be found in Rabbi Shalom DovBer Levine’s commentary on The Baal Hatanya’s Seder Hachnasas Shabbos. From an elevation of 546 meters at the top of Har Hacarmel (based on the Gemara Shabbos 35a), the sun disappears at sunset when it is 1.583° (1° 35′) below the sea level horizon. There are other opinions that are not included in the code (but can easily be calculated using the API). One such example is a very similar (degree-wise) netz amiti from Rabbi Yosef Yitzchok Feigelstock. Rabbi Feigelstock calculates shkiah amitis as the degrees below the horizon 4 minutes after sunset in Yerushalaym (on the equinox). That degree based zman is listed in his letter to Rabbi Levine published in the back of the Seder Hachnasas Shabbos as 1.583°. The 1.583° is a typo (confirmed by Rabbi Feigelstock since it is identical to the 1° 35′ zman) and should be 1.683°. The calculations added to the KosherJava Zmanim library are used by most Chabad calendars that follow the Baal Hatanya’s Zmanim. 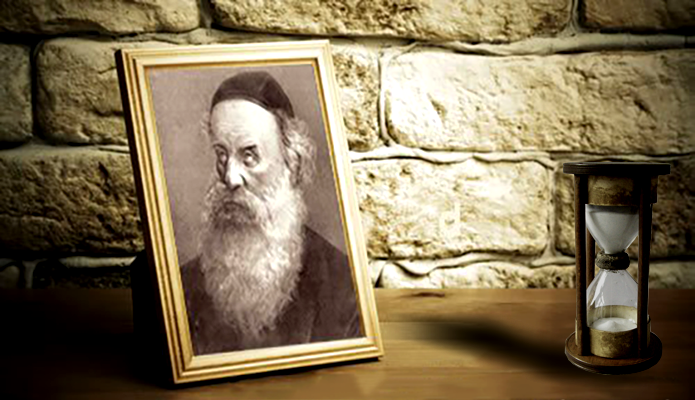 See About Our Zmanim Calculations @ Chabad.org. Alos 16.9° – based on the sun’s position below the horizon 72 minutes before netz amiti in Yerushayim around the equinox. Sunrise or netz amiti – calculated as 1.583° below the horizon. This method is private and is only used as a base for other calculations. Sof Zman Shma – calculated as 3 shaos zmaniyos (or a 1/4 of the day) after netz amiti. Sof Zman Tfila – calculated as 4 shaos zmaniyos (or a 1/3 of the day) after netz amiti. Sof Zman Achilas Chametz – calculated as 4 shaos zmaniyos (or a 1/3 of the day) after netz amiti. Sof Zman Biur Chametz – calculated as 5 shaos zmaniyos after netz amiti. Mincha Gedola – calculated as 6.5 shaos zmaniyos after netz amiti. Mincha Gedola – Greater Than 30 – As above, but with a minimum 30 clock minutes after chatzos. Mincha Ketana – calculated as 9.5 shaos zmaniyos after netz amiti. Plag Hamincha – calculated as 10.75 shaos zmaniyos after netz amiti. Sunset or shkiah amitis – calculated as 1.583° below the horizon. This method is private and is only used as a base for other calculations. Tzais – calculated as the time when the sun is 6° below the western horizon. Note that as per Rabbi Yosef Yitzchok Feigelstock, for Motzai Shabbos, Motzai Yom Kippur and Motzai Yom Tov, the 8.5° time should be used. The time between 6° and 8.5° is part of tosfos Shabbos and tosfos Yom Kippur. Other zmanim such as zman krias shema can use the 6° zman. The 8.5° zman has always been part of the API, and sample code for calculating tzais 8.5° can be seen below. These zmanim (not my implementation) that Chabad.org spent 2 years researching, have a haskama (endorsement) from Chabad Dayanim. Chabad.org zmanim do not provide seconds (appropriate due to expected refraction variances), but with the rounding rules provided by Rabbi Mordechai Sandhaus, the lead developer at Chabad.org, I was able to confirm that the Baal Hatanya zmanim generated by the KosherJava zmanim library match the Chabad.org times. Netz Amiti 1.683° as calculated by Rabbi Feigelstock and mentioned above (only used for calculating other zmanim). Shkiah Amitis 1.683° as calculated by Rabbi Feigelstock and mentioned above (only used for calculating other zmanim). Tzais 5.833° as calculated by Rabbi Shalom DovBer Levine lekula for derabanans. Tzais 6.3° as calculated by Rabbi Avrohom Altein, Chabad of Winnipeg, Manitoba, Canada. Tzais 6.833° as calculated by Rabbi Shalom DovBer Levine lechumra for deoraysas. Tzais 8.5° as commonly used by Chabad lechumra and mentioned above. Code samples for these zmanim can be seen below. The relatively new calculations of zmanim based on netz amiti and shkiah amitis are not universally accepted in Chabad. Rabbi Avrohom Altein, the Rov of Chabad of Winnipeg, Manitoba, mentioned in a correspondence, that it is difficult to accept these new zmanim calculations as is. The Alter Rebbe only speaks explicitly of shkiya amitis in regards to the beginning of Shabbos. We can draw comparisons to other areas of halacha but those comparisons needs to be carefully evaluated. I believe that the Alter Rebbe does not calculate shaos zmaniyos based on netz & shkiya amitis, but rather on the standard netz & shkiya. There are several strong proofs to this. In earlier years, all of Chabad calculated shaos zmaniyos for laws of chometz, reading Shema etc., on the basis of standard sunrise and sunset and I believe that’s how the older Colel Chabad Luchos did the calculation. In recent years, this has changed in the Colel Chabad Luchos and chabad.org based on the opinion of Rabbi SDB Levin and Rabbi Feigeslstock — but there are Chabad rabbis that do not agree with their interpretation. I expect a future post on the subject at some point in the future. For developers, here is sample code that calculates the new zmanim. This should allow many zmanim apps to add Baal Hatanya zmanim with very little effort. I would like to thank Rabbi Yosef Yitzchok Feigelstock, the Rov of Chabad in Buenos Aires, Rabbi Avrohom Altein, the Rov of Chabad in Winnipeg and Rabbi Mordechai Sandhaus, the lead developer at Chabad.org for reviewing this post. In the past I posted about Android Zmanim, Jay Gindin’s open source Android zmanim project that uses the KosherJava Zmanim API. The fact that Android development uses Java natively means that it is very simple for Android developers to include zmanim in their apps. Since that time there have been a number of other applications (including iPhone apps) using the code. Moshe’s KosherCocoa Obj-C port of the KosherJava Zmanim API will probably result in additional iPhone apps that use the API. Yitzchok’s older Zmanim .NET port of the KosherJava Zmanim API also opened the door for Windows Phone zmanim applications as well (Ari Polski’s Zmaim app already uses it, and there are others in the works). I may post additional details about some of them in the future, including an updated post about Jay’s latest Android Zmanim release. I am aware of the following mobile applications that use the KosherJava Zmanim API. There are also a few secular apps that are non-zmanim specific that use the API for sunrise and sunset calculations. One that I know of is Jeffrey Blattman’s Dawn to Dusk Widget, and I know that there are some photography apps that use it for sunrise/set calculations as well. There are likely more that I have missed, and a few that are in active development but unreleased. If you are aware of any missed apps, please let me know.